She Finally Got her table! 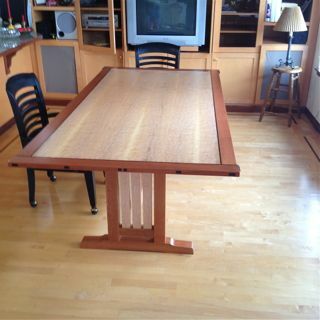 It took her awhile to convince her husband that he needed this table but her persuasive ways finally paid off and the table is now in her dining room! Next we work on him to get some chairs!